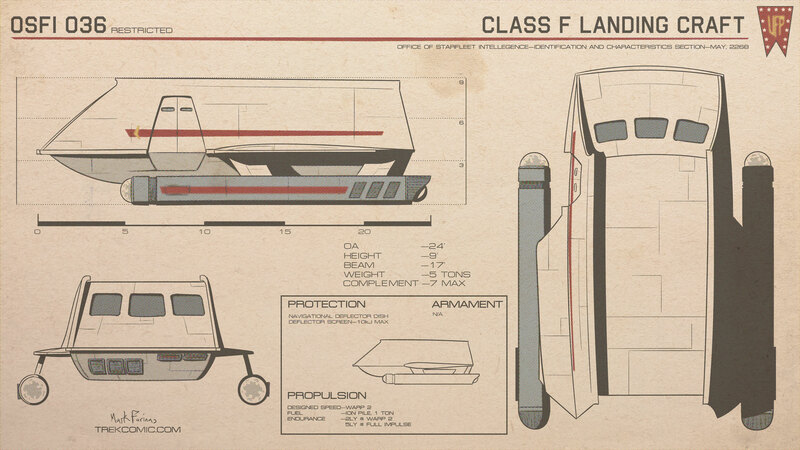 The Class F Shuttle is the work horse of the modern Star Fleet. With minimal warp drive, the little shuttle that could can’t get you very far, but you’ll be riding in comfort as you go. Great for losing in quasars and being snatched by energy beings that just want a hug. Easy to forget on those missions where the only transporter pad fails. Do not blow up inside doomsday machines. I tried to make this guy just a tiny bit sleeker without betraying the general shape we all know and love. The nacelle supports have been changed to air foils, as if that would help. Thanks to magic future hover power you can apparently soft land a big metal brick. I have a sneaking suspicion she’s related to this guy. Does it come in dark teal?